Despite a 3-0 defeat to the world's fifth ranked test team, it was of little surprise that the England squad announced last week shows only one change to their batting line up. For the optimists it's confirmation that the second half of their UAE adventure put to rest many of the doubts raised by the first; for the rest, it is evidence that the selector's had few real options but to continue with the existing group, who, it must be acknowledged, were being feted as world beaters only six months ago. Although an optimist by nature, I find it hard to see much credibility in the former view. It is less than a month since a cumulative and consistent failure of England's middle order resulted in a 3-0 test series defeat. In the aftermath, the management's attempts to fight spin with spin, so to speak, have failed to deceive. Noble words and sentiments were expressed by captain and coach about progress made. Firstly between the second and third test and then during the limited overs series. Certainly the batsmen put up a better effort in the last Test, but it was really only Andrew Strauss who made any significant step forward (both literally and metaphorically). Despite employing his legendary work ethic to the problem, Kevin Pietersen never gave off a sign of permanance or comfort at any point of the test series. Ian Bell was much, much worse. Blame was also deflected towards that ever useful batting scapegoat "the scheduling" - too few matches, the wrong sort of cricket, and this time even the length of break between series. Like all the best lies, they convince because they have elements of truth about them, but they are still lies. The success in the limited over series is also a red herring. 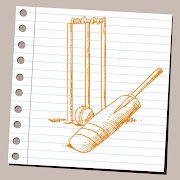 Test and limited overs cricket are like apples and oranges - performance in one is a useless guide to likely performance in the other. The personnel are often different and even DRS is applied differently - one review per innings leaves no margin for error and it was noticeable that Misbah was a good deal more cautious in its use. Instead psychological factors, be it the need to atone for test defeat, or the mental disintegration caused by such a defeat (as was the case with India's tour of England) are often more relevant. In short, this line-up could have netted every day from September to January, flown out a month before, had six practice matches, played the one-dayers before the main event, had Graham Gooch on hand 24/7 and they still wouldn't have been prepared for the Tests and they still would have lost 3-0. And yet they are quality players, so what went wrong and how do they put it right? Andrew Strauss hit it on the head when acknowledging "it's hard to prepare without facing them". They lost the series because they had no previous experience or opportunity to replicate what they were about to face. It's not just England, virtually no one has faced Saeed Ajmal on low bouncing asian pitches with full, predictive ball-tracking, DRS in effect. In Sri Lanka, England will not be confronted by anyone of Ajmal's special talent, but all the other elements will be present. In some respects England are guinea pigs for this new DRS reality and so their response will closely regarded by their rivals. We know that Strauss and Bell will travel out a week early to Sri Lanka and Andy Flower has promised that preparation will be different for this tour and that of India later in the year. But is this enough? DRS will not be used in either of the two official practice games, meaning that the players will again enter the First Test without any practice under true match conditions. Its absence is understandable. According to ICC general manager Dave Richardson, it costs $10,000 per day for the use of the cameras and ball tracking technology to operate DRS. A significant cost for international cricket boards, and surely beyond state, provincial or county set ups. And yet, if players only face these conditions in Test matches how are they to train and how are selectors supposed to know whether their techniques will cope? Much has been made, particularly in England, of the need to replicate international cricket as far as possible at domestic level. Three day games became four for this purpose, two divisions was supposed to raise standards; but without DRS these players are playing a different game. It's a particularly uncomfortable fact because there is no easy solution. In the short term, you could argue that having DRS in place for at least one of those two warm up games may have been as valuable an investment for England as a full time batting coach.